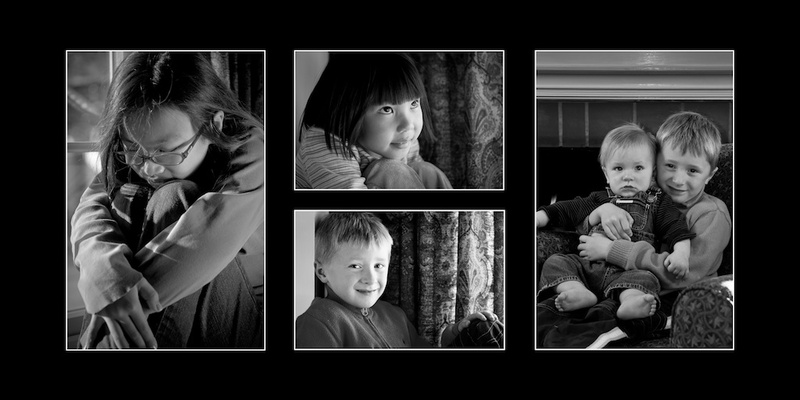 I took my lighting gear to Thanksgiving Dinner this year to take some family photos, but in the end, the images that I liked the best were when the kids sat in a window seat and I used natural light. 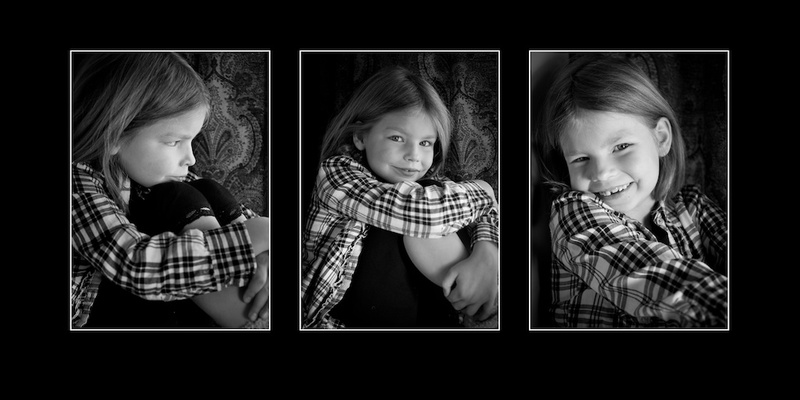 I had an assistant hold a reflector to direct some of the window light back towards the kids, and I could close the curtains a bit so that I had a bit of a backdrop instead of a blown out window. I am starting to try out black and white more and more. I don’t always “see” in B/W yet, but I am getting a better feel for the shots that would look good processed in B/W once I look at them in post. I do have some in color that I liked as well. I couldn’t get all the kids to pose for me. Too much turkey, and too much going on. I'll admit it - I like you too.